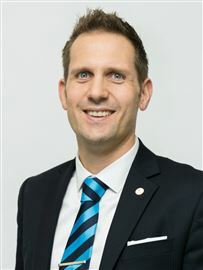 Having started his real estate career in the early 1990’s at the age of 20, Campbell returned to further his passion for real estate in 2002, from his role as Auckland Sales Manager with an international hospitality brand. 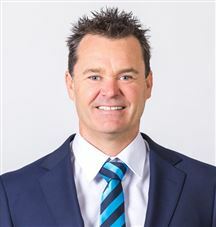 In 2007 he was appointed manager of a newly opened residential office in Hamilton’s rapidly growing north-east suburbs and is now branch manager of Harcourts’ high profile Central City Office. 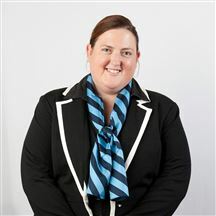 Campbell is also one of Harcourts’ auctioneers and one of the four owners of Harcourts Hamilton. Recognised as the Waikato’s leader for the sale of multi-unit investment properties and awarded for outstanding sales performance each year since 2003, Campbell’s personal passion for investment property coupled with working alongside some of New Zealand’s most astute investors lead to him acquiring a wealth of knowledge that enables him to provide valuable advice to people wanting to invest in the healthy Waikato real estate market. Campbell is the REINZ's Auction Sector Group representative for the Waikato. AREINZ qualified, he is an entertaining registered auctioneer who regularly donates his time to Hamilton charities, having now knocked the hammer down on over $1m in fundraising for the Waikato community. Campbell is passionate about real estate and strives to deliver an exceptional Harcourts experience, leading by example in advocating for ongoing improved professionalism in the industry. Whether buying or selling, investing or developing, or looking to an exciting career in real estate, Campbell is happy to provide the advice you need and welcomes your call. Neil has had a long, successful career in real estate having lived in Hamilton for over 40 years. This long tenure in Hamilton has given Neil the knowledge and understanding of the local real estate market and provided him with the ability to offer strong support to his clients and sales staff alike. "I see myself as a vendors advocate, I want to get the best result for our clients and I do that through overseeing innovative marketing programmes and adopting a professional approach to the process itself. It's not good enough just to be good - outstanding should be our minimum standard, and that's my goal." Alastair's down-to-earth, no-nonsense approach stems from his Waikato dairy farming background. He is a straight talker who has the ability to listen, understand people's needs and deliver real results. 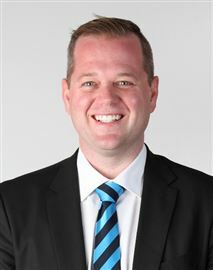 Now with over 12 years experience in the residential property market in Hamilton and over $175 million in sales in an industry where consistency counts, Alastair has been placed in the Top 5 sales consultants for Harcourts Hamilton every year for the last 12 years. What this means for his clients is a consistent level of high quality service and results. One constant theme that comes through from the many client testimonials received is that Alastair goes the extra mile to deliver on what he promises, consistently exceeding expectations. So, whether you’re considering buying or selling residential property in Hamilton, give Alastair a call to discover what he can do for you! Alexis Lawson joins Harcourts Hamilton as a sales consultant based in the Central City office. Alexis brings an enthusiastic energy and youthful approach to the team and she is excited to put her passion for real estate to use at Harcourts. 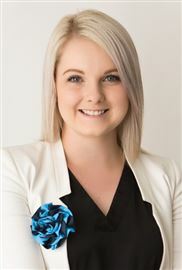 A mum of one who was born and raised in Hamilton, Alexis has strong family values and is a real estate agent you can trust to do what’s best for her clients. If you are looking to buy or sell property, contact Alexis today! Brad has been a owner operator of a professional tennis and squash retailer shop in Hamilton as well as being a professional tennis coach for 20 years in and around Hamilton. Brad spent some time in Australia playing tennis at a semi professional level and attended the Australian Tennis academy in Sydney. He also was the Head Coach at Southwell School from 2009-2014 as their specialised coach with going on school trips with parents and children, helping teachers with organising programs and projects. Brad also worked for Babolat NZ as their sales representative for 3 years selling all around the country. Why Real Estate? Brad enjoys the process of helping people, whether its to find their first home, or their dream home!! With his background as a business owner and coach, helping different people to get the best out of their abilities, Brad will definitely do the same to find the right house for you. Brad knows building relationships is the essential part of any agent, with him Running the extra mile to find you what you want!! Brad enjoys many sports, tennis, golf, squash, rugby, soccer, and of course “Running“ just to name a few. So let him Run around and find you the house you’ve always wanted. With 20 years in real estate sales, property management, staff training and marketing, Christine Hughes is still passionate about her real estate career. "It’s the people that make this industry great, I just love helping my clients and many become good friends.” Working alongside her clients and achieving desired results, she says, is the key to real estate success. This enthusiasm for a 'job well done' coupled with her extensive skills, knowledge and connections are the benchmark of Christine's business. Christine's commitment to service and easy manner has won her many awards over her career. 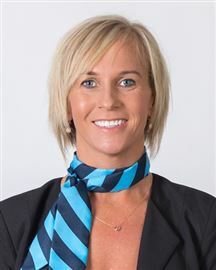 Awarded Harcourts Multi-Million Dollar Award for sales totalling $125 million, she continually features in the National Top 10 per cent in Harcourts New Zealand and is one of the Top Twenty Sales Consultants in the Central Region for 2013. Christine Toy started her real estate career over 25 years ago with Harcourts Hamilton, in the Glenview Branch. One of the reasons she originally chose to work for the Harcourts brand was the excellent marketing materials, enabling her to support clients with second-to-none advertising to potential buyers. Over the years these marketing tools have assisted Harcourts in becoming New Zealand’s largest real estate company, and recently saw Harcourts voted “New Zealand’s Most Trusted Real Estate Brand” for the second year running. Over the past 25 years Christine has gathered extensive experience in property from being a successful licensed real estate consultant, a Housing NZ property manager and home lease manager, and both a trainer and recruitment manager in the real estate industry. Currently Christine also spends her days as Commercial and Industrial Property Manager and consultant for a well known Hamilton family. Christine is proud to have been awarded many times during her career, with numerous regional and national accolades including recognition in Harcourts’ Top 20 New Zealand sales consultants. Christine is passionate about property. Although most of her business now comes from satisfied past clients and referrals, she always appreciates the opportunity to help new clients with buying and selling real estate – give Christine a call today, on 027-4417466. With over 6 years of experience selling homes throughout Hamilton City, Craig joins Yvenna Yue's award winning team based from our central city office. Born, bred, and educated in the Waikato, Craig has developed an intimate local knowledge of Hamilton - its suburbs, its communities, its homes, and its people. Armed with a degree in marketing, Craig’s a strong advocate for superior marketing strategies, all of which are essential to achieve premium results. If you’re thinking of buying or selling, give Craig a call for a friendly chat. After living in Gisbourne for 30 years David, Jill and their two boys moved to a 20 acre farm let in the Waikato in 1984, and David started in real estate in 1987 selling Lifestyles and Farm lets. David continued to do this until 2003 when he and Jill left New Zealand for Jill to take up an Educational Appointment in Hong Kong. 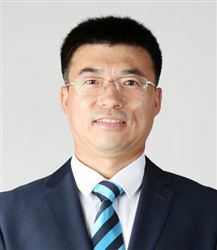 They stayed in Hong Kong for 2 and a half years and then moved back to New Zealand where David resumed his real estate business in the rural Division of Harcourts City Office. David Rawlence B.Sc., M.SC. (Hons), Ph.D. New Bruns. David grew up in Christchurch and has lived and worked in New Zealand, Canada and Papua New Guinea. 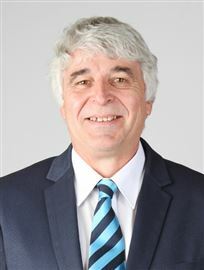 He has held a number of management positions over the years prior to entering the real estate industry – Dean of Science at the University of New Brunswick & Athabasca University, Vice President Academic of the University of Athabasca, Chief Executive Officer at the Waikato Institute of Technology, Vice Chancellor of the University of Goroka and Managing Director of the Rothesay Consulting Group. David has been a quiet achiever in Hamilton since 1995. As CEO of the Waikato Polytechnic, he led the changes to the Waikato Institute of Technology. With his early background as an aquatic scientist, he originated the plan for the 60 hectare award winning Waiwhakareke Natural Heritage Park in Nawton, which has been recognize as New Zealand’s largest inland urban wetland restoration project. David has worked in the Hamilton real estate market from 2007 to present. He has sold in excess of 20 million dollars of real estate. He works extensively with a wide range of clients - with those who are just looking to purchase their first home to others who are making the transition from their family home into a retirement village or rest home. He has assisted many of his older customers into Summerset down the Lane, The Cascades, Hilda Ross and Forest Lake Gardens. Strong enough to care, David is very passionate about the best possible outcome for the customer. Customers echo this sentiment…. •	Able, knowledgeable, patient and wise •	His experience base has assisted us with navigating these unfamiliar and stressful times •	“Had our back”; knew what he was doing and prepared to fight our corner •	Confident and professional •	My best interest was his priority and was guided by his common sense approach •	A true gentleman, always punctual, reliable as well very approachable •	Knowledgeable, hardworking, professional, friendly & dedicated to getting an excellent result •	Very comfortable and happy with his professionalism, very pleasant manner, and informative and helpful information made the sale of my home stress free as possible. •	I did not feel under any pressure at any stage and achieved an excellent result •	Most of all David listened to what I wanted. He respected my ideas and was pleased with my sale •	We could not recommend David highly enough; very happy with the outcome achieved Give David a call if you are thinking about purchasing your first property, selling your existing home and purchasing your forever home or considering moving to a retirement village. He is happy to advise even if a purchase or sale is 6 to 8 months away. Through education and informed guidance customers are empowered to make a knowledgeable decision in today’s property market. Don is a very well established and respected salesperson in the Hamilton real estate market, qualifying as AREINZ in 1990. Starting in August 1984, he progressed from salesperson to branch manager and shareholder of another Hamilton real estate company. Recognising that senior sales consultants are operating more as a business within a business, after 12 years with Ace Real Estate, he decided to take up this new challenge with Harcourts Real Estate (Hamilton). His commitment to his clients and customers is reflected in the amount of 'repeat business' he does. Having resigned from his former management position, this allows him to focus 100% on the needs of an already extensive client base plus those new clients who choose to avail themselves of the real estate experience on offer. Real Estate is Don's Career Choice! As a valued and respected member of the Harcourts Rural / Lifestyle team, Don is known for his trustworthy, ethical, discreet and well organised manner. His creativity and initiative to achieve goals is high and he accomplishes this with his willing attitude and openness to adapt to finding solutions. Don is always professional and motivated with the ability to grow positive relationships with both clients and colleagues. Don has been working in the real estate market for the past 15 years. Over this time he has won many awards for outstanding work and results. Don consistently shows in the Top 20 for the whole of the central region which in itself is a major achievement. Based in the Hamilton City office Don is a very professional, caring person who has a great ability to listen and understand the needs of both sellers and buyers and understands the importance of good communication. For an agent with a wealth of knowledge, experience and enthusiasm phone Don Pinny 027 289 5924. Real estate has always been a passion of Dylan’s, having family involved in the Real estate industry, Dylan has managed to build up a vast knowledge of the industry from an early age, allowing Dylan to use this knowledge to successfully invest in Real Estate as a young adult. After 9 years in the sales and marketing industry, achieving great heights in his previous career in HRV, it was a natural progression to move into Real Estate. The service Dylan prides himself on is the ability to listen and truly understand your Real Estate goals. In Dylan’s free time, he is very passionate about health and fitness, and is a loyal Rugby and League supporter. Dylan would simply appreciate the opportunity to at least meet with you to hear your needs, and have the opportunity to show you the excellent real estate service he may provide you. Eric Chang has about 10 years of business experience and 7 years of work experience in Hospitality industry in Hamilton. He has developed relationships with many of the locals and continues to make lasting friendships in the area. Warm, personable, and highly motivated, sales associate Eric Chang is a driven, organised and determined professional with an impeccable sense of integrity. Eric becomes a confident communicator, who quickly creates rapport and builds trust with buyers and sellers alike. Eric enjoys the challenge of working in real estate and ensures you receive the best level of service. Your Sales & Marketing Consultant . . . Grant Shackleton. Whether it is helping find your dream home, or selling your current one, you want somebody that has knowledge, expertise, honesty and integrity. Somebody who is committed to achieving the best possible result for you. Above all, you want to deal with a real person which is why Grant's focus is on creating a relationship of trust and respect with all his clients and his consultative approach also helps minimise problems and maximise opportunities. This philosophy continues with his mission statement . . . His Goal is to Help You Achieve Yours. You can gain a vast amount of knowledge and experience during a 20 year career in Real Estate, and Grant has done just that. He consistently delivers a high level of sales successes which places him in the upper echelon of Harcourts both locally and Nationally. Over 80% of Grant's business is either repeat or referral - it's not hard to see why. 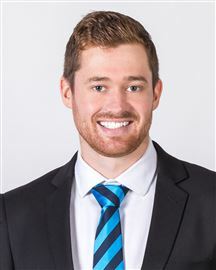 James joins the Harcourts Hamilton City Office team as a Residential Salesperson. Before taking the plunge into the world of real estate James worked at Livestock Improvement Corporation (LIC). Like Harcourts, LIC is a leader in its field, that field being all things dairy herd improvement. James enjoyed career advancement during his 5 year tenure, his most recent role as product manager of both the Premier Sires bull teams and the Heat Detection product range. He is passionate about his work and with his experience marketing products for a diverse array of people across the country James will work hard to make your realty dreams a reality. So, if you’re thinking of buying, selling or just interested in a free market appraisal give James a call today. Whether buying or selling real estate, people in the housing market want confidence in their agent – they want an agent who’s committed, tenacious, and determined and when she says she’ll “go the extra mile,” you’d better believe it. The mother of twins has lived all her life in Hamilton, she knows the streets well and she knows what makes Hamiltonians tick. Kathryn has served more than 5 years as a Real Estate Agent and has made it a successful business to date, she has a strong sales pedigree as she has served over 10 years as a North Island account manager within the retail sector. She nominates honesty, commitment, and loyalty among her most-valued personal traits, and says her strong work ethic, responsiveness and negotiating skills has led her to becoming a valuable agent. Her aim is always to focus on achieving a successful and stress-free outcome for her clients. Rest assured, Kathryn will go the distance for you and/or your family. Give her a call today. Your Dream - My Mission People describe me as passionate, professional, energized and hard working. I promise to bring 110% to the table when you allow me to work for you to help achieve your goals. After graduating High School I followed a number of career paths including culinary which I hold a diploma in and direct sales until I landed into Real Estate. That's where I found my passion for not only selling houses, but helping families, investors and many other people to achieve their goals. Whether it be selling to up size, down sizing, first home buying or investing. I love helping people. After being in Real Estate for a number of years, I also developed a passion to become an auctioneer. Again this is a path I have developed into along side listing and selling property to further help people. I have the expertise to know the auction process inside and out to help buyers and sellers understand the process better. I am very passionate about my community of Hamilton and have been apart of many charity auctions to help fundraise for worthy causes. Being also on the committee for Clothe our kids Waikato - a local charity re-homing donated clothing to children in need, I enjoy being able to give back to our community. If you are looking for an agent who is professional, compassionate, will listen to you and advise where necessary - remember the name Katrina. I am the agent for you - allowing Your Dreams to become My Mission. Louise is committed to ensuring your real estate journey is memorable for all of the right reasons. Louise prides herself on her excellent customer service, and goes the extra mile to ensure that her customers are fully satisfied with their successful result. 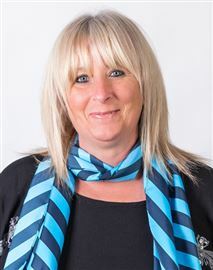 Louise is always professional in everything she does, is very approachable, and someone that is worthy of your trust. If you want someone who listens to your real estate needs, please call Louise on 027 688 9601. Robbie is hardworking, efficient and possesses a can do attitude, he has a wealth of experience at management positions within a large global organisation combined with post graduate qualifications in Management studies from Waikato University. Robbie Sidhu has been known to be a people’s person, is a very humble achiever and a reason for his own success. Hamilton has been a second home for Robbie for more than a decade. His passion for Property has seen him pursuing his career in real estate. Whether buying or selling, investing or developing, Robbie is happy to give advice and help you through this process with his experience and knowledge gained from diverse experiences in Life. He would be delighted to assist you over the phone or a brief catch up whatever suits your needs to help you make an informed decision and a pleasant experience. 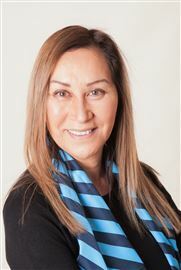 Robyn has been involved in the real estate industry for well over 25 years now, both as a private investor and trader and for the past few years as a licensed sales consultant working for Harcourts in Hamilton. From the late 1980’s to the mid 2000’s Robyn and her husband Tony owned and operated two very successful pet stores, firstly in Chartwell then Pet City in Te Rapa which is now part of the Animates chain. It was during this time they commenced their property investing journey. Property has always been a passion of Robyn’s and in 2000 she left the pet shop and turned her energies to full time property investing and trading, building a widely respected portfolio that still spans the country from Auckland (Waiheke Island) to Invercargill. Robyn uses the same drive and work ethic that saw her pet business be recognised amongst the "top return" pet shops in NZ and helped build her property portfolio, to develop her reputation for success within Hamilton’s real estate market. Robyn is a graduate of many highly regarded international personal development and property coaching programmes, and host of a few of her own. She has gained the knowledge, skills, drive and commitment to help her clients achieve their real estate goals. She loves helping people make their dreams come true and will work hard to find you the right property if you are purchasing, or to help you move a property which no longer serves your lifestyle if you are looking to sell. Robyn totally believes in taking responsibility for where she is and what happens and always finds the positive in any situation. This attitude has helped her succeed with all her business ventures and has proved an asset in her real estate career, putting her now in the top 20% of Harcourts’ salespeople in Hamilton. She loves her work and loves helping others achieve their own dreams and goals and of course, as Robyn says, “if you love your work, it doesn’t feel like work!” Robyn looks forward to helping make your real estate dreams come true and welcomes your call for advice or assistance at any time. Rupert Bain is a Harcourts Sales Consultant with a wealth of experience in the construction industry. Spending the majority of his working career being self-employed, Rupert has the discipline & drive to push himself further every day to exceed targets. Rupert is a confident, reliable and determined individual who believes in leading by example. He is customer inspired and people focused. Passionate, enthusiastic and committed to establishing long-term relationships. Rupert recently moved from a role as a New Home Consultant with one of New Zealand’s leading building companies. Rupert has personally been involved in property development for many years and has been a landlord since 2004. Having prior sales experience as a Buyer Specialist as well as an extensive customer service background, Stephanie has created strong and proven negotiation skills within the real estate industry. With Stephanie's motivated and professional approach, she is dedicated to providing a premium service to clients and helping them achieve their real estate goals. Having been a purchaser, tenant, landlord and vendor herself, Stephanie has been in your position and you can be assured she will work hard to take the stress out of your real estate experience. Stewart Williams has lived all his life in the Waikato region. He decided to join the Harcourts Real Estate Rural and Lifestyle Team after working the past 11 years as Chiefs Team Manager. During this period, time management and people skills were always at the forefront of the day to day running of the team. In his earlier years, before moving his family to Hamilton, Stewart came from a background of share milking and farm ownership over a period of 17 years. Once situated in Hamilton, he then purchased and ran a retail sports store, Bartels Sports, for 8 years. During this time, the business was North Island Runner Up Sports Retailer of the Year 1999 and 2001. The pursuit of excellence is at the forefront of Stewart's mind as he continues his Real Estate career. His people first attitude and honourable work ethic resulted in and secured him the Harcourts Hamilton Rising Star recipient 2017-18 award. Stewart loves meeting people, and enthusiastically enjoys the challenge of helping his clients reach a positive outcome. Vicki has enjoyed a real estate career for the past 8 years. Having lived in Sydney, Australia for 20 years and experiencing a top regional sales role for a leading fashion company Vicki returned home to NZ to start a family. Vicki now has 3 teenage boys, Aaron, Dane and Daniel. Vicki loves Real Estate and puts a lot of time and effort in doing the job well. She listens well and is a great negotiator. Vicki has worked alongside some of the top agents in the field and has good systems in place to ensure a smooth process for both sellers and buyers. Trust is a big thing when it comes to making one of the biggest transactions you will probably ever make, and you can trust Vicki to oversee that transaction for you. Yvenna’s networking skills and real estate savviness catapulted her to be one of Hamilton’s top achieving agents and she has no intention of slowing down. Yvenna, originally from Shanghai, studied Management at Waikato University and fell in love with New Zealand and Hamilton in particular. In her years as a very successful entrepreneur, she built up an extensive network of social and business contacts and quickly became well known in Hamilton, both in the Kiwi and in the growing Chinese community. Seeing a need for a real estate service that truly caters to the fast pace and multicultural dimension of the Hamilton market, Yvenna decided to take on the challenge and strive to be the best of the best. In her debut year the prompt achievement of both local and regional awards like the “Rising Star” proved to her that she had found her calling. In her second year, her business continued to thrive being awarded number 2 for Harcourts Hamilton and recognized as a top 20 Agent for Harcourts New Zealand. Getting familiar with the Hamilton real estate market, developing a feel for value and an astonishing knack for opportunities came easy to her, and she enjoys learning more about the city’s neighbourhoods, secrets and insider tips every day. 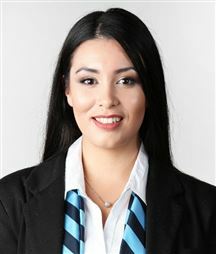 Being one of Hamilton’s top agents fills Yvenna with pride and gratitude toward her clients and customers. Her immense drive and ambition to improve never lets her rest before the job is done above and beyond expectation. She believes that a large part of her success is her outgoing personality and delight in constantly meeting people and networking. Always good-humoured, Yvenna considers the love and support of her husband and children a crucial balance to her active real estate lifestyle. Jamie was born and raised in Hamilton, where she completed a Degree in Science at the University of Waikato. She then decided on a change in career path and has been working in Real Estate since early 2012. She began her Real Estate career in Residential Sales for 2 years, followed by 4 years in Commercial Sales and is now working as PA/Campaign Manager for team Bain & Bain at Harcourts. Jamie has a strong interest in interior design as well as the property market. She is happy to share this with clients and customers, and will enjoy discussing presentation methods with them. Jamie is an integral link to the team and works closely with our designer for advertising/marketing and making sure that each property campaign runs as smoothly as possible. Wendy has been in the real estate industry for 10 years, working alongside Alastair in an admin support role. Wendy is friendly, efficient, always approachable and knows what it takes to keep the business moving. Her attention to detail means things runs smoothly. Having worked for many years in the real estate industry, Wendy is used to diversity and can relate to a wide range of people. Having two grown children also keeps her busy, as family is incredibly important to her. She also enjoys travelling and loves adventuring out in the great outdoors. When not in the office she is most commonly found at the beach, walking her dog or hanging out with her family. Too Good to Last !!! See It, Love It, Buy It! All I Want Is NEW! Make me over on Marion! 1166m2 With All The Options! Honey, we've found the one!